Many traveler’s fly in to Bangkok enjoying the contrast of the hustle and bustle of Thailands capital mixed with the calming tranquility of golden tipped Temple’s before heading South Island hopping to enjoy the many beautiful beaches Thailand is famed for. A destination which is growing more popular and is on most travelers itinerary is the furthest South an Island named Koh Lipe. You can transfer in one day by flying form Bangkok to Krabi Airport (KBV). You would have to fly early in the morning to make the connections. Guests are picked up at Krabi Airport, transferred by minivan to Trang and then board a ferry to Koh Lipe. These transfers operate late November till end of April. 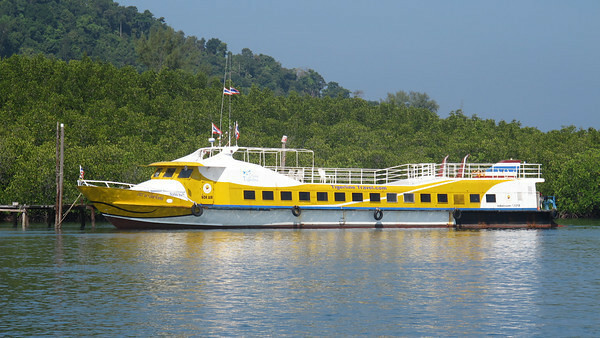 Please check the Krabi airport to Koh Lipe Ferry page for more information. Simply go to Krabi Airport to Koh Lipe Ferry Page – fill in the orange contact form with your flight details and number of guests traveling and you will receive an instant confirmation email.